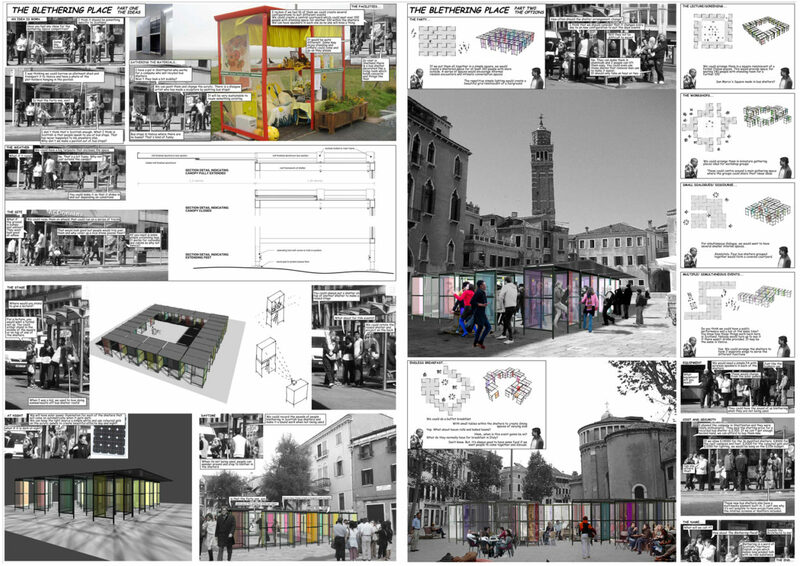 Collective Architecture submitted two separate entries for the competition to design Scotland's first pavilion for the 2008 Venice Architectural Biennale. 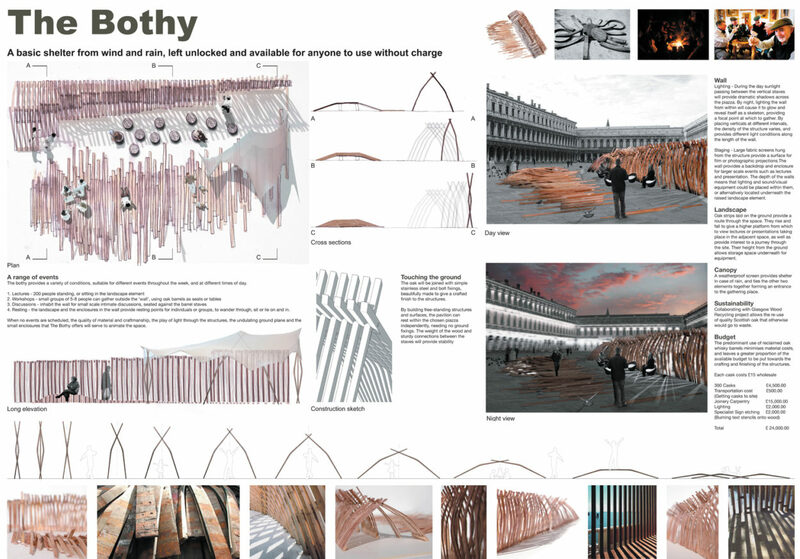 The competition was organised by The Lighthouse, Scotland's Centre for Architecture, Design and the City, with a very tight budget which was to include such items as transportation and installation in Venice. 'The Blethering Place' proposed the re-use of existing redundant structures, bus shelters, to form places for people to gather. The proposals recognised the value of bus shelters in every day lives as places for people to interact and have a good chin wag while waiting for their bus. The bus shelters could be arranged in a variety of configurations to suit a range of different activites, including the porojection of films. The bus shleteres were to be refurbished and provided with transparent screens in a variety of colours. The second proposal 'The Bothy' proposed a basic shelter from the wind and rain, drawing on the precedents of bothies across the Scottish landscape, which provide cover for travellers in inclement weather or at night. The bothy was to be constructed of oak joined with simple stainless steel and bolt fixings. It was envisaged that these free standing structures would rest independently on the ground of Venice's public squares and would provide accommodation for a variety of events including lectures, workshops and discussions.